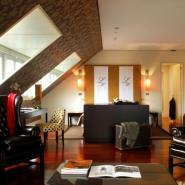 The Heritage Hotels, five ARTEH® Hotels in Lisbon, received the Experts’ Choice Awards from TripExpert. This annual award, already in its third edition, aims to recognize the best hotels in the world, selected by publications specialized in tourism and travel. As Janelas Verdes, the Heritage Av Liberdade, the Hotel Britania, the Hotel Lisboa Plaza and the Solar do Castelo, located in the historical center of Lisbon, are old houses or buildings of charm, owned by Portuguese families who have come together to create intimate environments. Here, everything is thought to enhance the connection to the heritage and culture of the city, with all the current comfort. Discover these distinguished hotels with ARTEH®.